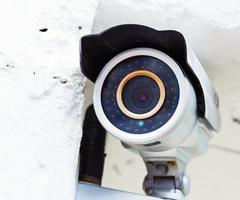 Our remotely-monitored systems will keep your home safe and protect those closest to you. We offer a variety of home security solutions for homeowners who wish to safeguard their properties. 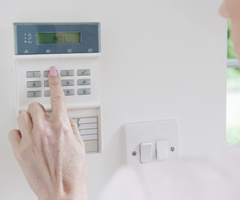 From house alarms and access control systems to fire alarms and CCTV cameras, we are capable of meeting any and all home security requirements. Our domestic security systems can be remotely monitored at all times by a central monitoring station. If your house alarms are set off, we will inform the relevant emergency services and ensure that your property is protected. We also offer a 24-hour engineering service and maintenance contract, meaning that our specialist team is on hand day and night, 365 days a year to ensure that your home’s security isn’t compromised. Here at IDS, we have many years of experience in the design and provision of household security systems. 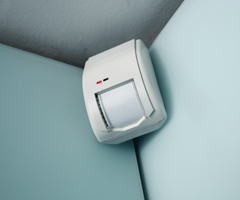 We install house alarms and other security solutions throughout England and Wales, so whether you live here in Cardiff or further afield, please contact us today for more information or to request a quotation for your property. Click here to request a quotation for your home’s security system, or call our Cardiff office on 029 20 753 251 to speak with one of our residential security specialists. In addition to our state-of-the-art security systems, we are also able to design and fit high-quality fire protection systems, meaning that your property will be protected in the event of a fire as well as a break-in. As with our house alarms, your fire detection system can be monitored 24/7, allowing immediate action to be taken if your home catches fire.